“THE word `research’ as a university ideal had, indeed, been ominously spoken in Oxford by that extremely cantankerous person, Mark Pattison, some years ago; but the notion of this ideal, threatening as it did to discredit the whole tutorial and examinational system which was making Oxford into the highest of high schools for boys, was received there with anger and contempt. In Balliol, the birthplace and most illustrious home of this great system, it was regarded with especial scorn. If the prize fellowships and the fellowships of All Souls were to be no longer regarded as the legitimate reward of those who had won First Classes in the Schools; if the means they provided were not to be spent in helping ambitious young men on the first rungs of the ladder of worldly success, but used, as Mark Pattison’s ill-mannered supporters suggested, in the maintenance of researchers, ambitious of the fame of scholars, would not the whole tutorial system be deprived of one of its important features, and the university endowments be seriously abused? 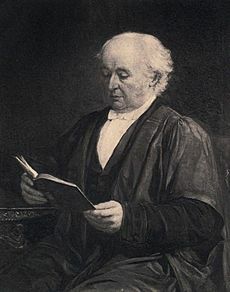 This ideal of endowment for research was particularly shocking to Benjamin Jowett, the great inventor of the tutorial system which it threatened. I remember once, when staying with him at Malvern, inadvertently pronouncing the ill-omened word. `Research!’ the Master exclaimed. `Research!’ he said. `A mere excuse for idleness; it has never achieved, and will never achieve any results of the slightest value.’ At this sweeping statement I protested; whereupon I was peremptorily told, if I knew of any such results of value, to name them without delay. My ideas on the subject were by no means profound, and anyhow it is difficult to give definite instances of a general proposition at a moment’s notice. The only thing that came into my head was the recent discovery, of which I had read somewhere, that on striking a patient’s kneecap sharply he would give an involuntary kick, and that by the vigour or lack of vigour of this `knee jerk’, as it is called, a judgement could be formed of his general state of health.